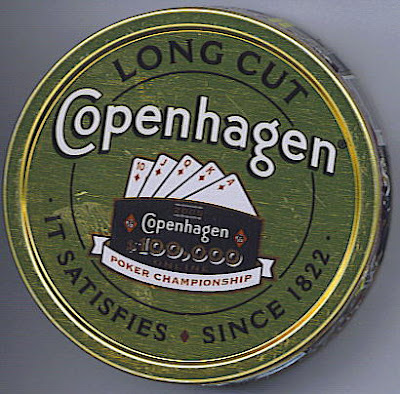 Fire-cured tobaccos, used for snuff and chewing tobacco, grown in central Virginia, western Kentucky, and northwestern Tennessee. Traditional curing barns in the U.S. are falling into disuse, as the trend toward using prefabricated metal curing machines within factories allows greater efficiency. 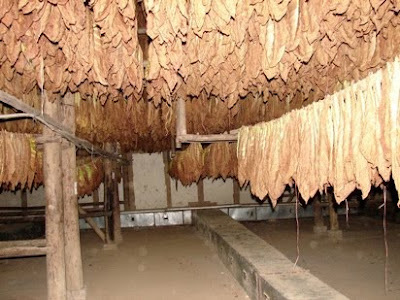 These machines are also found on location at tobacco farms in 2nd world countries. Curing and subsequent aging allows for the slow oxidation and degradation of carotenoids in tobacco leaf. 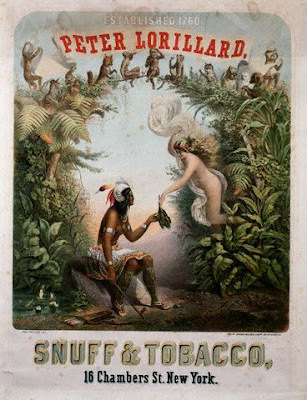 This produces certain compounds in the tobacco leaves very similar and give a sweet hay, tea, rose oil, or fruity aromatic flavor that contribute to the “smoothness” of the smoke. Starch is converted to sugar which glycates protein and is oxidized into advanced glycation endproducts (AGEs), a caramelization process that also adds flavor. 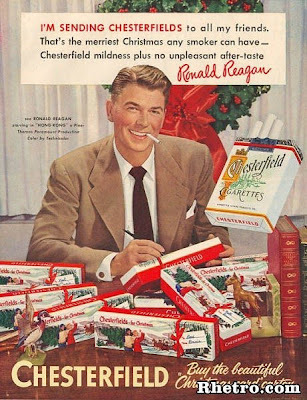 Inhalation of these AGEs in tobacco smoke contributes to atherosclerosis and cancer. 5. 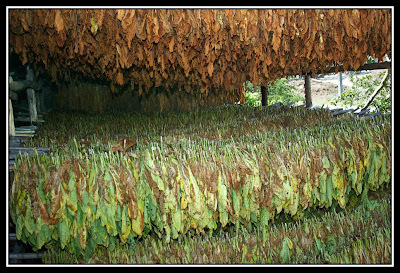 Flue-cured tobaccos, used for cigarette, pipe, and chewing tobacco, grown in southern Virginia, central and eastern North Carolina, eastern South Carolina, southern Georgia, southeastern Alabama, and northern Florida. 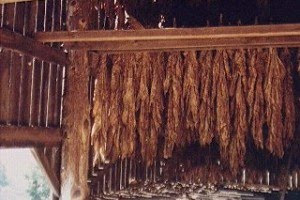 Flue-cured tobacco was originally strung onto tobacco sticks, which were hung from tier-poles in curing barns (Aus: kilns, also traditionally called Oasts). 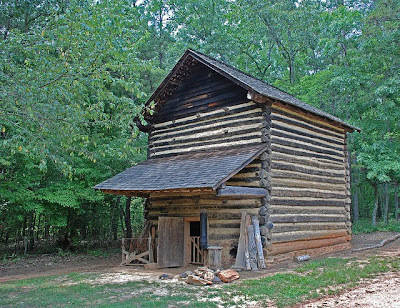 These barns have flues which run from externally fed fire boxes, heat-curing the tobacco without exposing it to smoke, slowly raising the temperature over the course of the curing. The process will generally take about a week. available for you? I wouldn't mind creating a post or elaborating on many of the subjects you write with regards to here. Again, awesome weblog! My 92 year-old-father, the famous fiddler's first cousin (Joe Thompson), is writing his story, YOUR HEAD IS A STORE HOUSE; he says, "to let the young people know how blacks lived nearly a 100 years ago." 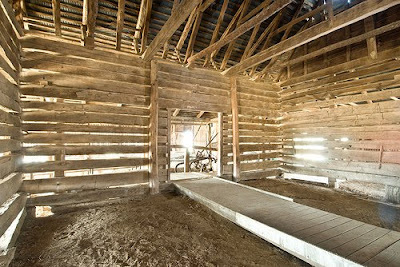 So I am asking to use the image tobacco%2Bbarn.jpg to describe a scene that he's talking about in curing tobacco. Hey, I'm so excited to hear that your 92 year-old father has decided to pen his memories. 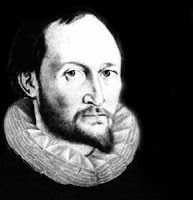 We need more first person accounts of history. Even if he doesn't finish writing his story, YOU SHOULD RECORD HIM! Thanks for your inquiry about the photograph, but unfortunately, I OWN NOTHING. 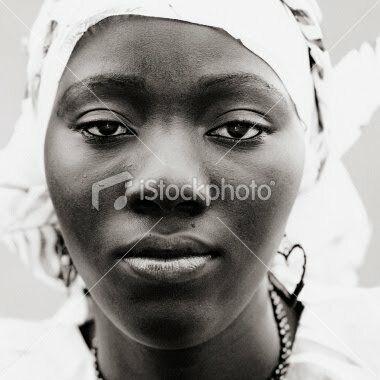 I don't own the rights to any of these photographs, this is an educational site and the photographs are just there to enhance learning. This is a non-commercial site with no advertising or monetary support whatsoever. 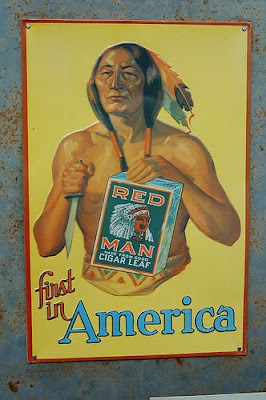 Since, tobacco was the first slave-grown export cash crop of North America, that opened the flood gates for the subsequent expansion of slavery in America, it seemed only fitting that this commodity be explored. I'm sorry I couldn't be of more help. I wish you all the best with your writings....take lots of photographs and copious notes.